New York just became more dog-friendly literally overnight. Yesterday evening, Governor Andrew Cuomo signed a bill into law altering the state health code to allow dog owners to eat alongside their pets in outdoor dining spaces. Looks like NYC chefs are going to have to step up their artisan doggy treat game. Though New York’s legislative assembly passed the bill back in June, the new law didn’t officially take effect until after it got the governor’s seal of approval. Now that it’s signed, these new regulations start immediately, according to the NY Post. Keep in mind, however, the rule changes don’t force restaurants with outdoor spaces to accept your mutt (or for those on the Upper West Side, your dog-show-winning pure-bred), so patrons should be sure to check the restaurant’s policy beforehand—lest they make a faux paws. “I am so happy that Gov. Cuomo signed into law my dining-with-dogs bill,” said Assemblywoman Linda Rosenthal, who sponsored the bill. 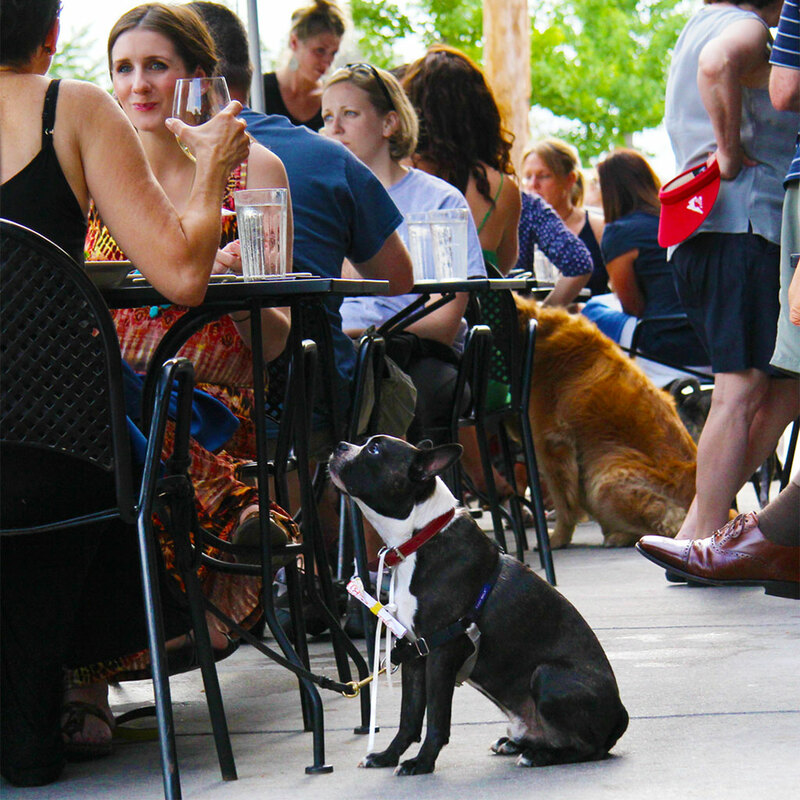 “No longer will our beloved companion animals be relegated to staying at home while we enjoy outdoor dining. Now they can simply come with us, like any other family member.” Yeah, thought your dog, I’d much rather be sitting here watching you eat a steak without sharing than be lying on the couch at home licking myself.